Could this be adidas' next big release? It's tough to think of a non-Yeezy adidas model that had a better 2015 than the all-white Ultra Boost. The Kanye West co-sign certainly aided the movement, but it's also had an extended effect on other all-white adi silhouettes. Next up is the adidas NMD, which already has solid energy following its Dec. launch. There's a white-based pair with red and blue midsole detailing, but this version of the nomadic runner keeps it clean all the way through. 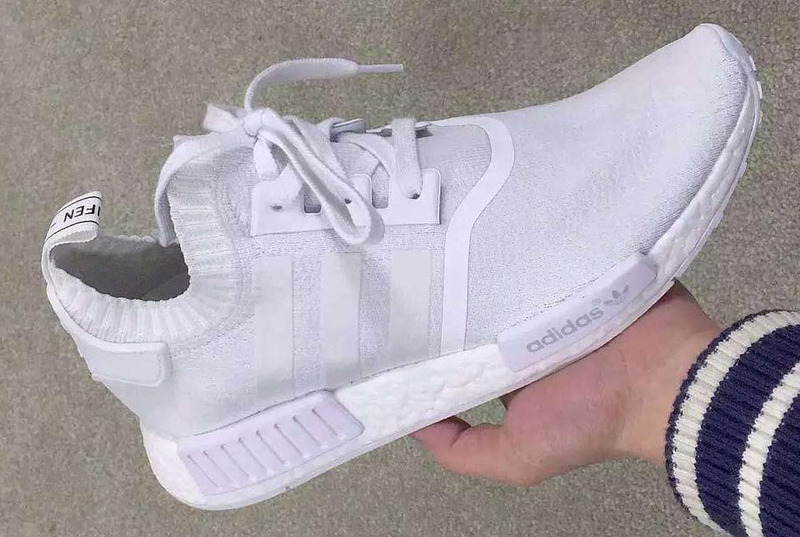 As of now, there's not a confirmed sneaker release date for the all-white NMD, but we'll keep you posted.